The Obama administration will ask federal courts to restart the spy programs which were shut down when controversial sections of the Patriot Act expired on Sunday. 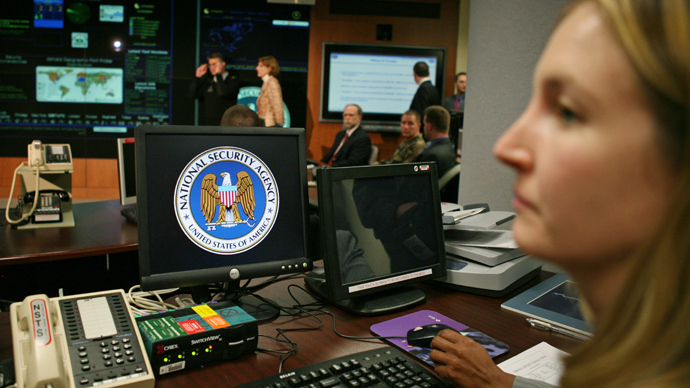 The USA Freedom Act allows the surveillance to continue for six more months, officials say. House Resolution 2048, also known as the USA Freedom Act, was drafted months before a federal court in New York ruled that Section 215 of the Patriot Act was illegal. The new law envisioned a 180-day period grace period during which the National Security Agency could wind down the program collecting the bulk “metadata” of Americans’ telephone calls, while shifting the responsibility for collecting the records onto telephone companies. However, the NSA shut down the program on Sunday evening as Section 215 expired before the Senate approved the Freedom Act, thanks to procedural maneuvers by a group of lawmakers led by Kentucky Senator Rand Paul. The Senate eventually passed the law in its House-approved form on Tuesday afternoon, and it was almost immediately signed into law by President Barack Obama. Citing the Freedom Act’s provision for a six-month transition period, the government is now arguing that the NSA needs to restart the bulk collection program in order to end it. “I see no reason for the executive branch to restart bulk collection, even for a few months, and I urge them not to attempt to do so,” said Ron Wyden (D-Oregon), member of the Senate Intelligence Committee and one of the Senators who crossed the aisle to work with Paul against the Patriot Act extension. “This illegal dragnet surveillance violated Americans’ rights for 14 years without making our country any safer, and the administration should leave it on the ash heap of history,” Wyden told the Guardian. The administration’s eagerness to exploit the loophole in the Freedom Act appears to vindicate the critics who have argued the bill represented a modest reform of NSA surveillance at best. Though it contains some “modest reform provisions,” the Freedom Act “does absolutely nothing to restrain the vast majority of the intrusive surveillance revealed by Snowden,”wrote Dan Froomkin at The Intercept. According to Trevor Timm of the Freedom of the Press Foundation, the bill’s provisions are “vague and confusing, leading many legal experts to believe they could be re-interpreted in secret by NSA lawyers with a history of warping the common definitions of ordinary words beyond recognition.” As a result, the FISA court could allow the NSA to continue collecting Americans’ data in secret, added Timm. Meanwhile, the chief technologist for the American Civil Liberties Union, Chris Soghoian, is concerned that the debate focusing on Section 215 ignored other spying programs the NSA cared about far more.